A great camping experience without losing the comfort of home. 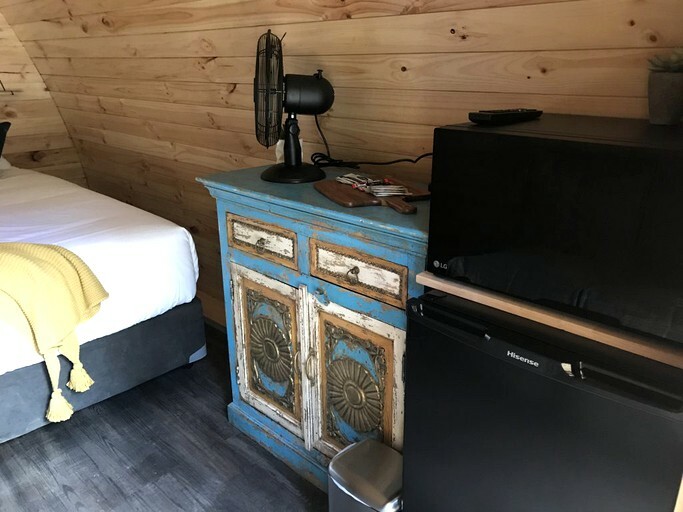 This getaway was in the 2018 RACV victorian tourism awards and was the gold winner for unique accommodation. 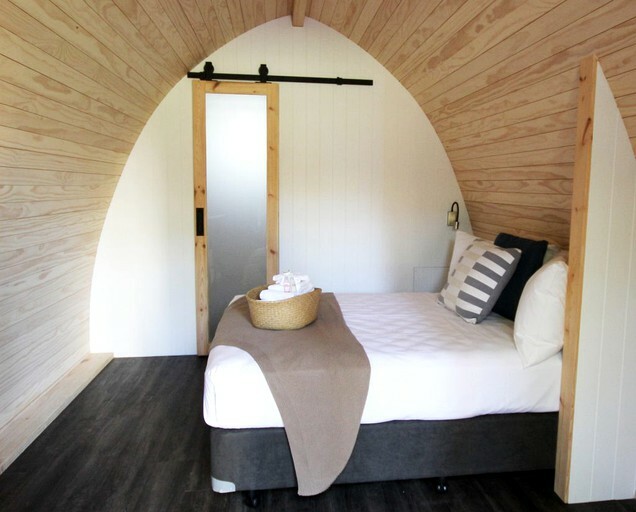 The pod rental is ideal for an unforgettable getaway for two near Melbourne, Victoria. The cozy accommodation is furnished with either one comfy king-size bed or two king single beds depending on guests' requirements. The hand-built retreat comes with its own ensuite bathroom, which has a stylish shower, a sink, and a toilet. Linens and towels are kindly provided by the hosts. 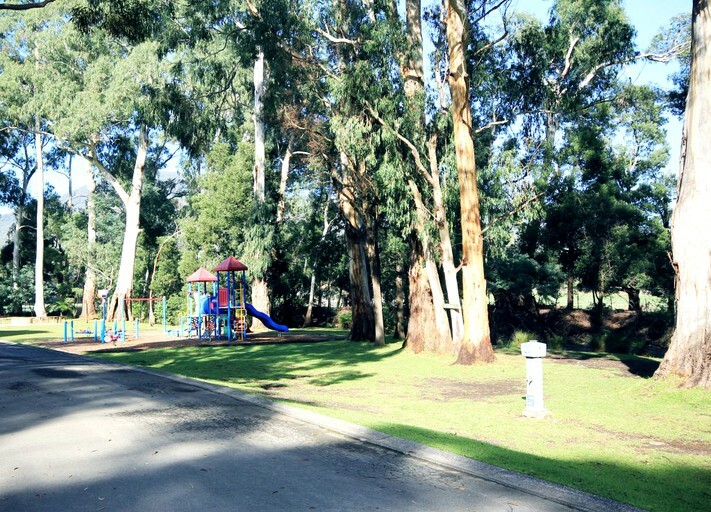 While guests will have the serenity of Badger Creek nearby where they can take in the tranquil sights and sounds of nature, they will also have all the comforts of home including Wi-Fi, an LCD TV, a comfy armchair, USB chargers, a microwave, a bar fridge, a toaster, crockery and cutlery, and a tea and coffee station. 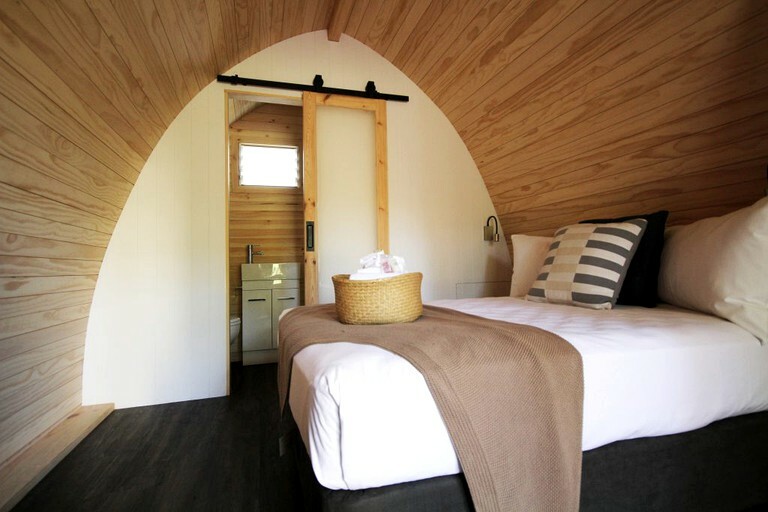 These glamping accommodations have access to an incredible selection of facilities. 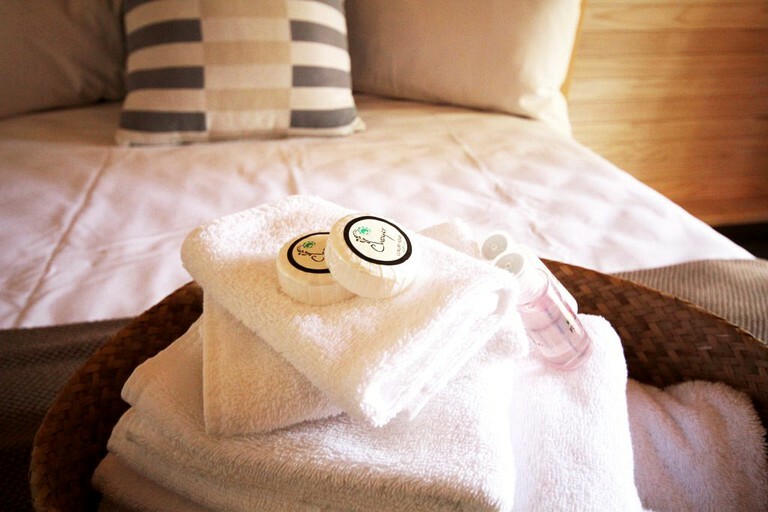 The site offers laundry services, and there are communal washrooms and bathrooms with showers and toilets. 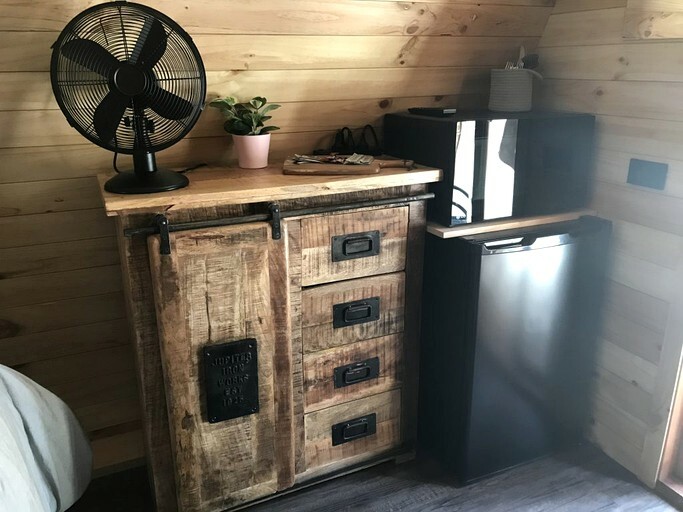 To pick up any food items or supplies that a glamper might want, there is a kiosk available, which, is also fully licensed so that guests can sample the famous local wines of the region. 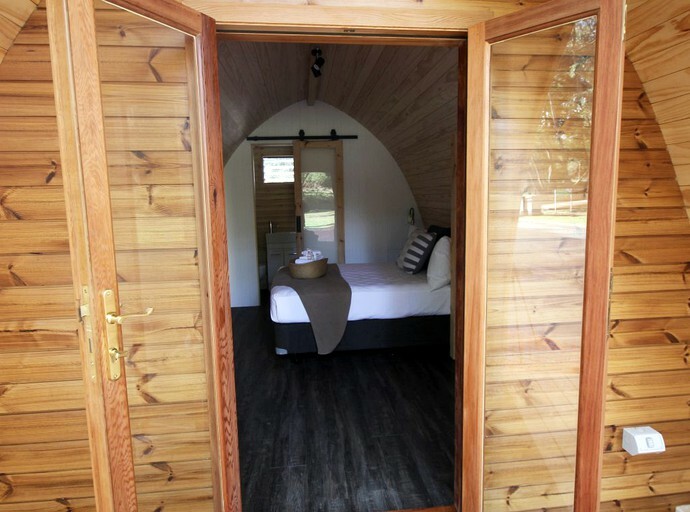 Relaxation gets even better with private access to the glamping precinct ensuites, tennis courts, camp kitchen and the pool and heated spa, to be enjoyed by all at this incredible glamping spot. Other communal entertainment includes a recreation room that is fully stocked with games and entertainment activities, and for children, there is an outdoor playground to enjoy, as well as a giant bouncy castle jumping cushion. For outdoor cooking, glampers can make use of the communal, covered barbecue area and fire pit. There are a few additional activities that glampers can enjoy here. E-scooters tours are very popular and are organized by the host if desired. 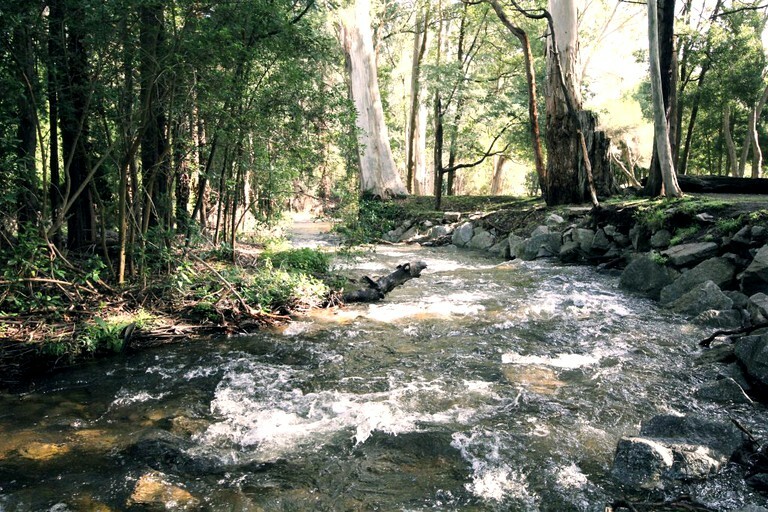 For those that want to do more than relaxing, there is the option of taking walking trails through the mountains, bushland, and surrounding areas. It is important to note that room layouts and style may vary from the pictures depending on availability. CCTV is operational on site 24 hours a day to make sure all glampers and their possessions are kept safe and secure.